SUNLIKE MACHINE TOOL CORP, was founded in 1974, and became a professional leading manufacturer and trader in Taiwan to deal with exporting business. We have been accumulating professional experiences more than 30 years. And our main business is that provide all kinds of machine tools with most competitive prices and good quality. We certainly can provide Taiwanese and Chinese machinery which suitable for your market, like as CNC/CONVENTIONAL machines including MILLING, LATHE, DRILLING, BAND SAW, EDM, and SLOTTER...etc and many various accessories with tools and so on. At recent years, we built a branch company with factory in Guangdong, China, to expand our products and to provide you wi thin more choices. Please trust us that our products are exporting to all over the world, such as AMERICA, EUROPE, TURKEY,BRAZIL,PERU,SOUTH EAST ASIA and MIDDLE EAST areas and we have very good reputation in these markets, so we strongly recommend your placing orders without delay, we shall guarantee the supply, and you would not miss the chance. Thus, for sure SUNLIKE must be the best choice as your partner! 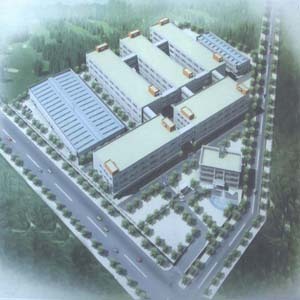 Sunlike Machine and Tool Corp.
Head office : Tarng Yang Enterprise Co., Ltd.
No. 197, section 2, Chao tan Road, Feng Yuan, Taiwan, R.O.C. CHAMPION FAR EAST PREMIER CO.,LTD.